Rayne Blue: A New Use for Evernote! Although I am more likely to pull out my phone and open my GCal app when I set an appointment with someone, there are some appointments that occur only once a year. Often, in that scenario, I get a business card size appointment reminder which I often put in my wallet and then when I get home, I add the appointment to my Google Calendar (GCal). (If you haven't tried GCal, check it out here.) I noticed this week, though, that I had one still saved in my wallet bc this doctor would be in their new building by the time of my next appointment and I wanted to check out the location long before my appointment. This morning I decided to experiment with this appointment card reminder. I took a picture of it with my Evernote Android app like I do with all of my business cards. I then created a notebook in my HOME stack titled "Medical Appointments." I tagged it with the doctor's name, placed it in that notebook, and set a reminder for 24 hours before the appointment. Now, I know that all of this could be done in GCal. (I use reminders extensively, I use location frequently, and I live out of my calendar for work and personal.) However, I have some friends who are just now moving into a more digital realm, and after spending an afternoon talking to them about Evernote, I realized this might be a great resource option for them. For me personally, it fits my life practice of writing down things so I don't have to rely on my memory! There are millions of ways Evernote can help make life easier, including taking pictures of your medical appointment reminder cards. I suggest giving it a try. Start small and you will soon discover what works best for you! 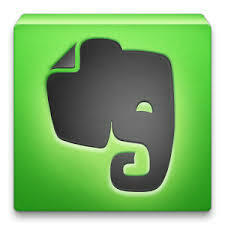 *Disclaimer: I am in no way affiliated with Evernote. The educator in me just likes sharing and gleaning knowledge. What is your favorite way of keeping tack of once-a-year appointments?